Filmed and edited by Navin Hardyal. Mini view of Joaquin Fletcher’s profile for EmpireBlade. A few clips at LES to showcase what’s next. Filmed by Navin Hardyal and Tim Dejesus. Edited by Joaquin Fletcher. After the Valo V premiere, Wheels In Motion and I Roll NY held a best trick competition at Coleman Skatepark. Check out the highlights from the comp featuring James Perez, Billy O’Neill, Danny Figgz, Jesus Medina, Joaquin Fletcher, and Phil Weaver. Filmed and edited by Navin Hardyal. Featuring Bruno Delrio, Joaquin Fletcher, and Michael Garcia. Filmed and edited by Navin Hardyal. “Edit Summer 2011 | My first edit with Final Cut Pro X.” – Navin Hardyal. Check out how the fundraising BBQ box jam went down over the weekend. 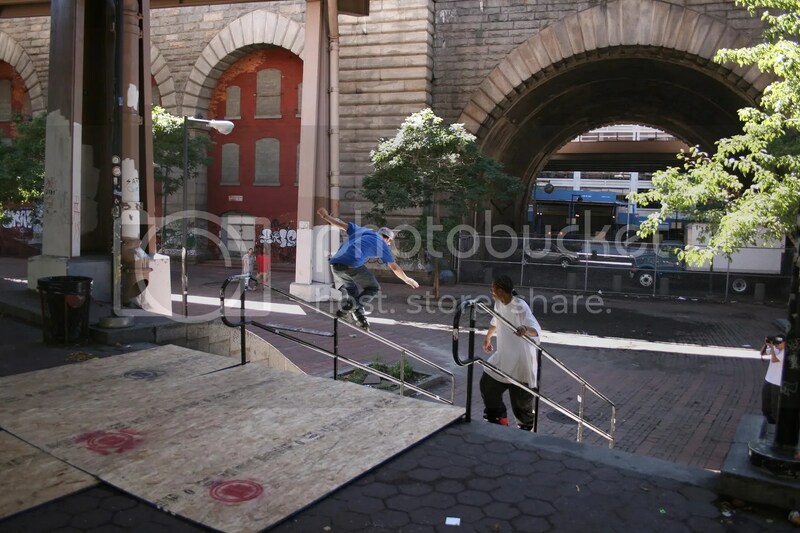 Featuring Ramelle Knight, John Stephens, Steven Cortez, Ricky Ramos, and many more NYC skaters. Filmed and edited by Navin Hardyal. Featuring Greg Sturino, Malik Ashby, Lonnie Gallegos, Mike Obedoza, and more. Filmed and edited by Navin Hardyal.